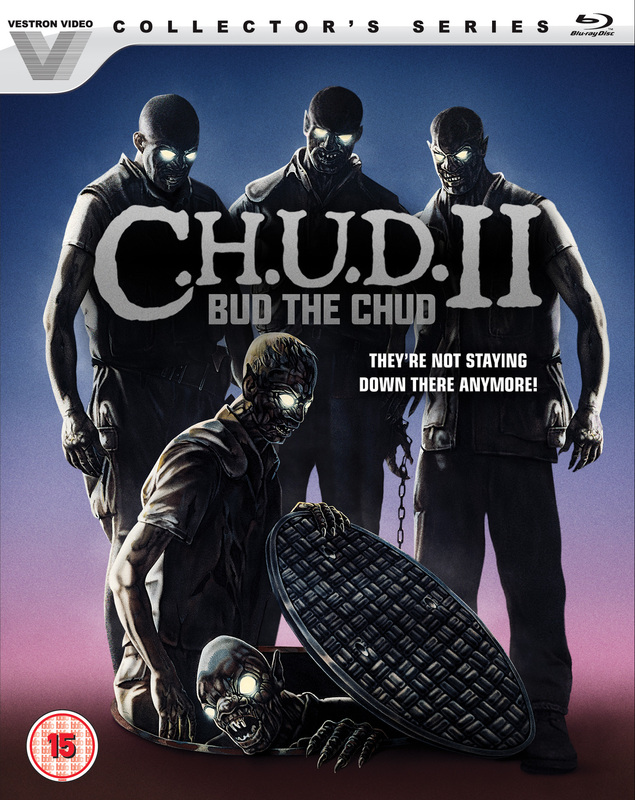 Lionsgate UK proudly presents four newly restored Vestron Collectors Series horrors: Blood Diner, CHUD II: Bud the Chud, Return of the Living Dead 3, Waxwork on Blu-ray on 28th August. Restored and remastered, this UNRATED VERSION has never been on Blu-ray! Grab a table at the BLOOD DINER—a cut above the rest! The Tutman Brothers run the most popular restaurant in town. Popular, that is, if you’re the county coroner! The “Head” chef has a real human touch with his special recipes – a killer line-up of delicacies made from human flesh! 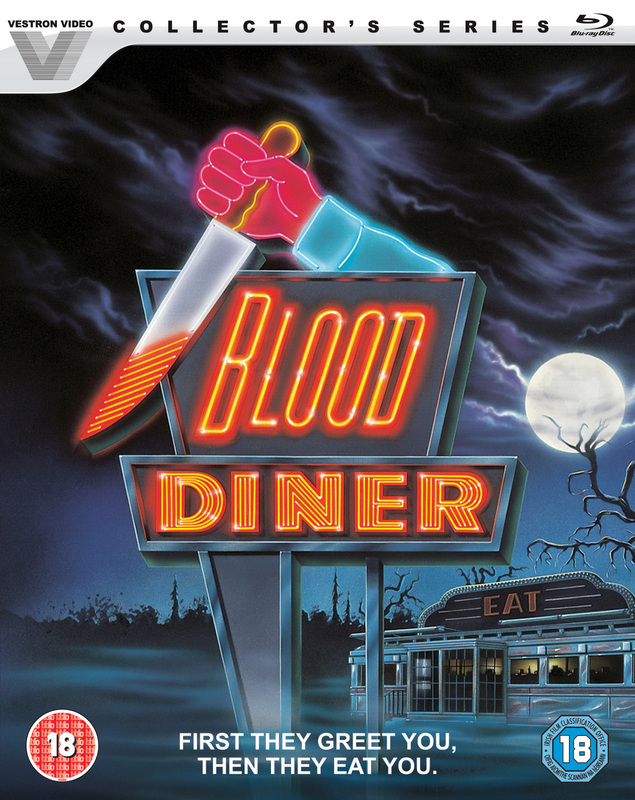 One of the most insane and over-the-top horror comedies ever made, BLOOD DINER is presented here fully uncut, restored from original vault materials, and features a buffet of tasty new supplemental features you’ll just die for! Restored and remastered and for the first time on Blu-ray! In Return of the Living Dead Part II, the chemical Trioxin turned people into flesh-eating zombies. Now, the government is trying to control these unstoppable cannibalistic killers in RETURN OF THE LIVING DEAD 3. When a young man uses the chemical to bring his girlfriend back to life after a motorcycle accident, she is driven to eat the only thing that will nourish her… human brains! She tries to stop her own feeding frenzy but a chain reaction has already begun, as hordes of undead are unleashed from their graves! Inside the wax museum a group of teenagers are aghast at the hauntingly life like wax displays of Dracula, the Wolfman, the Mummy, and other character members of the Horror Hall of Fame. Each display is perfectly grotesque, yet each is missing one thing . . . a victim! 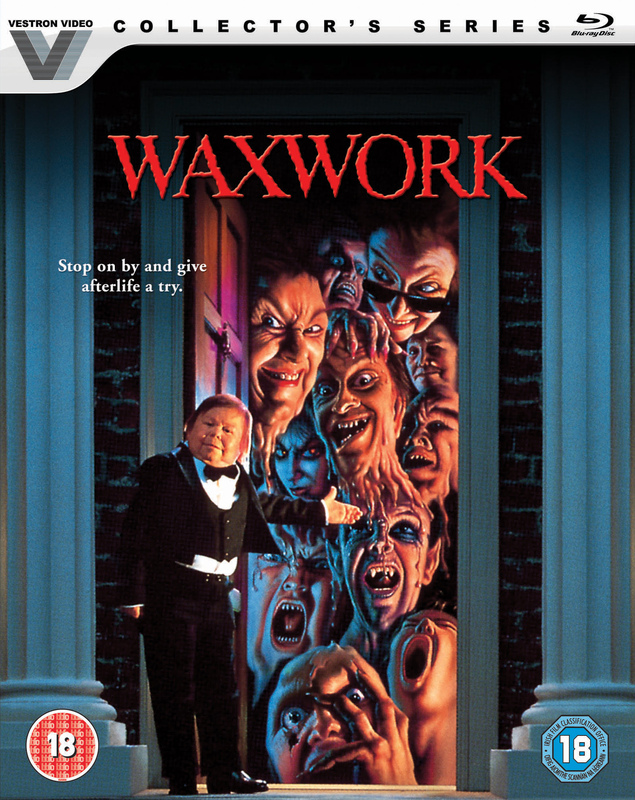 Admission to the WAXWORK was free but now they may pay with their lives! One by one, the students are drawn in as objects of the bloodthirsty creatures. They are now part of the permanent collection!